Note. Information on this page relates to SciFest@School STEM (science, technology, engineering and maths) fairs only, that is, in-house STEM fairs hosted by the schools themselves. For information on SciFest@College fairs, which are regional fairs for second-level students hosted by third level colleges, please follow this link. SciFest@School is where a second-level school hosts their own in-house SciFest STEM fair. Over 70 schools hosted a SciFest@School STEM fair in 2017/2018. Resource materials to support the organisation of a SciFest@School fair are available in the resources section of this website. In addition to the resource materials support from SciFest is also available in the form of advice on the organisation of a SciFest@School STEM fair, a teacher's pack, certificates for participating students, a number of prizes for winning projects, 'freebies' and support on the day of the event - contact us for details. When Should I Hold My SciFest@School? SciFest@School STEM fairs can be held at any time during the school year. However, you should hold your fair before 8 March if you wish to use your SciFest@School fair to select projects to go forward to SciFest@College 2019. While participating in a SciFest@School fair is good preparation for participating in a SciFest@College fair it is not a requirement; students may enter a SciFest@College fair directly without having participated in a SciFest@School fair. Students who have developed a SciFest project should have little difficulty in completing an Extended Experimental Investigation - CBA 1. The skills acquired in preparing a project for a SciFest@School fair are also those assessed in the CBA. Conversely, an Extended Experimental Investigation prepared for a CBA could, with additional work, be subsequently further expanded and developed into a project suitable for exhibiting at a SciFest@School fair. Researching, developing and presenting a SciFest project can constitute an ideal module for a Transition Year programme - see Science by Inquiry Transition Year Module here. SciFest is a Gaisce Challenge Partner. Students participating in a SciFest STEM fair can use their participation as the Personal Skill element of their Gaisce Award. Those involved in organising SciFest events can use their activities to meet the Community Involvement element of their Gaisce Award. Please click here for further details. Please click here to download a copy of the SciFest@School registration form. For details of how we use your data please view our privacy notice. Please click here to download a copy of the SciFest@School Guidelines. It is important that teachers familiarise themselves with the guidelines when organising a SciFest@School event. This is a new award that recognises schools for their support for STEM through hosting five or more SciFest@School STEM fairs. For more information on this award please click here. Schools that have hosted, or are hosting, SciFest@School fairs in 2018/2019 are listed here as dates become available. Schools that hosted SciFest@School in 2017/2018 are listed here. Schools that hosted SciFest@School in 2016/2017 are listed here. 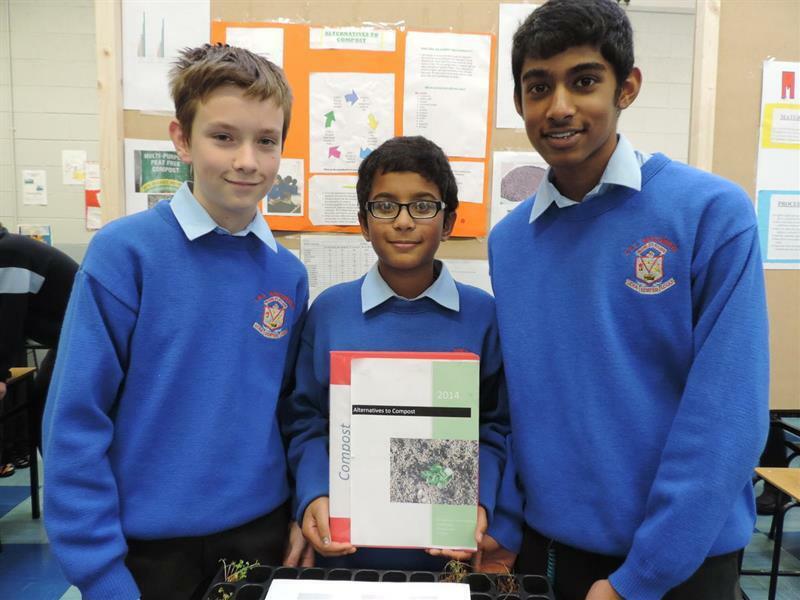 Click on the photo for a short video of a SciFest@School in CBS, Roscommon. For further information on SciFest@School please contact us. Alternatively, you may wish to contact one of the SciFest School Liaison Officers.